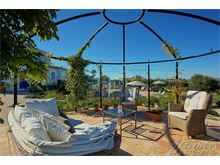 This villa has been cleverly designed to incorporate an old windmill, creating an unusual space from which to enjoy a fabulous holiday in the glorious Algarve sunshine. 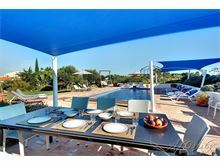 The abundance of indoor and outdoor seating and relaxation areas ensure that everyone can come together, probably at the shaded poolside dining area with ‘plancha’ grill, but those who may need a little peace will always be able to find a quiet corner. 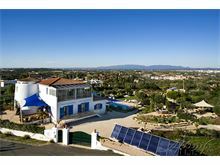 Sleeping up to 10 people over the ground and lower ground floors, the villa has the main living areas on the first floor to take advantage of the fabulous views of the Monchique mountains and the Atlantic Ocean. Moinho Azul do Rei will be a popular choice for families with several generations in the party, or a group of friends as it is within walking distance of Carvoeiro so you don’t have to be reliant on a car to enjoy the huge choice of cafes, restaurants, bars and shops that can be found in the centre, along with the easily accessible beach. Gates open to a large parking area. Entrance hall. 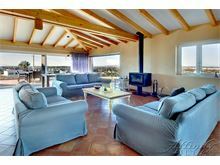 Master double, partly built within the old windmill, with en suite bathroom with bath and and walk-in shower, access to wind-shielded terrace with comfortable outdoor sofa and big parasol. 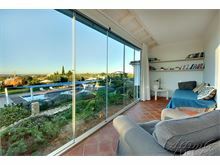 Annexe off the master bedroom with a daybed, patio doors and view to garden and Monchique. 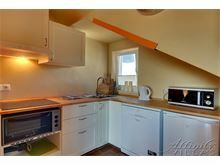 Small kitchenette with dishwasher, 4 x electric hob, microwave, 2 small fridges, coffee machine, wooden worktops. 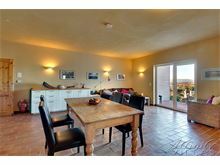 Living/dining area with a table and chairs, comfortable sofas and patio doors to terrace. 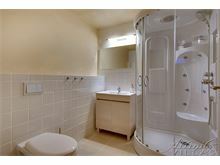 3 further twin bedrooms all with en suite shower rooms and access to a terrace. Staircase from the hallway leads up to the open plan lounge and dining area with comfortable sofas and log burning stove, TV, wooden table and chairs (will be changed for bigger table and 10 chairs) and large patio doors that open to a large terrace with outdoor dining table and chairs and barbecue. 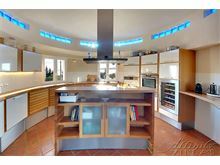 Kitchen, built within the old windmill, 5x gas hob (one is for wok) set within island, American-style fridge, drinks fridge, microwave, dishwasher, oven, plate warmer and coffee machine. 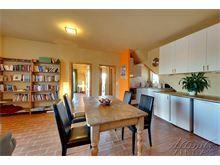 Separate sitting area, surrounded by large windows, with a round wooden table and chairs plus two comfortable armchairs. Cloakroom. 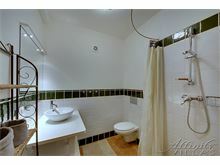 From the entrance hall, staircase down leads to a single bedroom and separate shower room. Maid service 3 times per week. 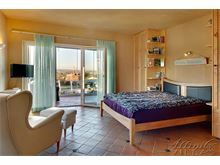 Pool heating and air conditioning (bedrooms only except the downstairs bedroom) available at extra charge, if required. 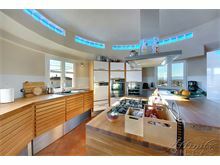 Superb views, spacious, excellently equipped kitchen and villa top floor has real wow factor. 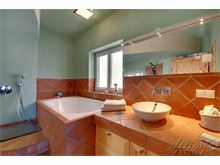 This is a well-appointed villa in a beautiful sitting. Our party of 6 adults and 1 yr old baby really enjoyed the facilities. The pool was superb and was well maintained. Maid service was excellent. 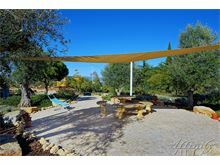 The villa is described as being situated 1.5 km from the town. Local taxis are frequent and cheap - about 6 euros per trip. 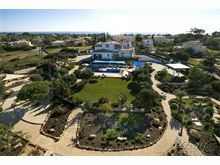 Overall we were delighted with the villa and had a great time in Carvoeiro on our first visit there although we have holidayed in Portugal on many occasions in the past. 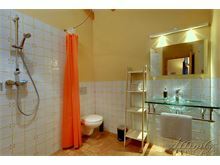 I was part of a group of 10 people who have just returned home from a week staying at the Moinho Azul do Rei and had to leave a review to say how fantastic it was. 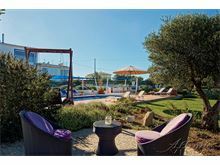 From the booking process with Affinity Villas where nothing was too much when asking questions in the run up to our stay. 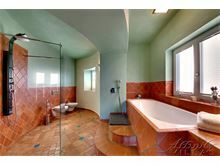 The villa was stunning, more than we expected with great amenities and the views were beautiful. Our cleaner was absolutely wonderful, nothing was too much for her and she was always so warm and kind to our group, she really helped to make things easier for us when we were there. 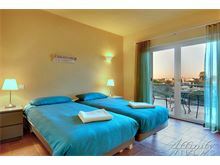 We highly recommend the villa and booking through Affinity Villas, they couldn’t have made it any better. We enjoyed an amazing week in the villa. 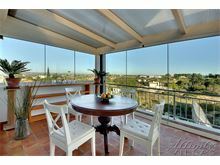 It is in an amazing location with far reaching views, sea views included. 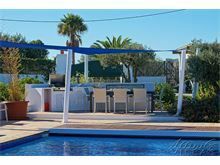 The villa is great, very comfortable, well equipped, an amazing pool, extensive grounds, generally quiet and a real home from home. Having a car is a real asset as Carvoeiro is a little too far to walk in the heat, but taxis are very cheap and a visit to the local town is essential. 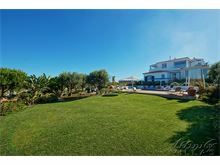 If you go to this villa you will have a wonderful holiday, so go there. The villa was amazing, more impressive than the pictures. 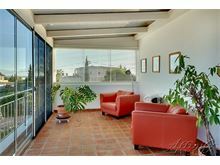 we particularly loved the panoramic view from the upstairs living area. The pool was heated as requested right from arrival. Finally all staff involved, on booking and assisting at the villa were excellent. 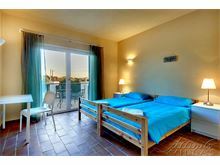 After using non agent holiday accommodations previously , we will definitely use affinity villas again. 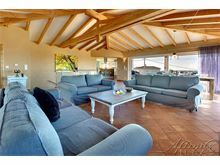 The villa was in a great location, perfect for trips to any of the many nearby beaches. The interior was modern, well equipped and more than big enough for two families of four. The pool was a great size and perfectly maintained. The gardens are exquisite; as good as I have seen in a holiday villa. We would thoroughly recommend this as a place to stay. 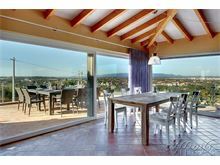 A beautiful, large and well equipped villa situated in an elevated position with fantastic views of the mountains, coastline & surrounding area. 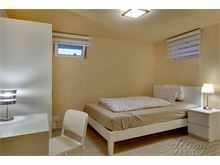 Internally, it is very comfortable and homely. We had everything we needed to cook decent meals and the good quality beds meant a decent nights sleep. The pool is quite big and we paid to have it heated, so we could still use it on colder days. 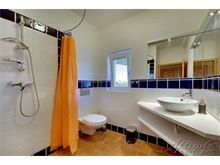 Overall a fab villa that I would recommend to anyone.